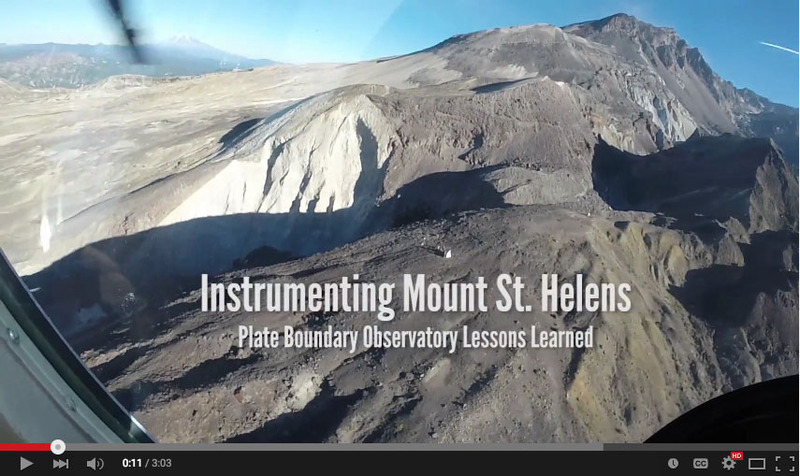 The 35th anniversary of the catastrophic May 18, 1980 eruption of Mount St. Helens provided the opportunity to share with the public how far volcano monitoring has come in the last three and a half decades, and the role played by the EarthScope Plate Boundary Observatory in maintaining instrumentation on the volcano's flanks. What signs do scientists watch for leading up to an eruption? How do we measure deformation of a volcano? UNAVCO participated in three outreach events in collaboration with various other institutions in the month of May to explore these questions with the public, and produced a video highlighting lessons learned from working on the mountain. 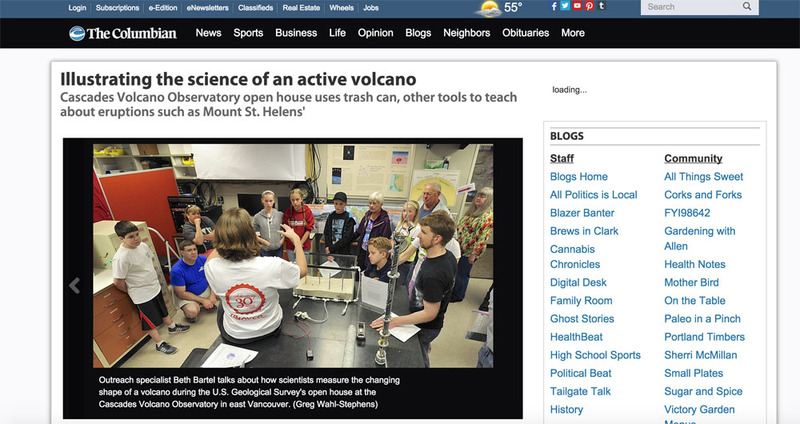 Participated with CVO staff in volcano deformation demonstrations to hundreds of visitors. 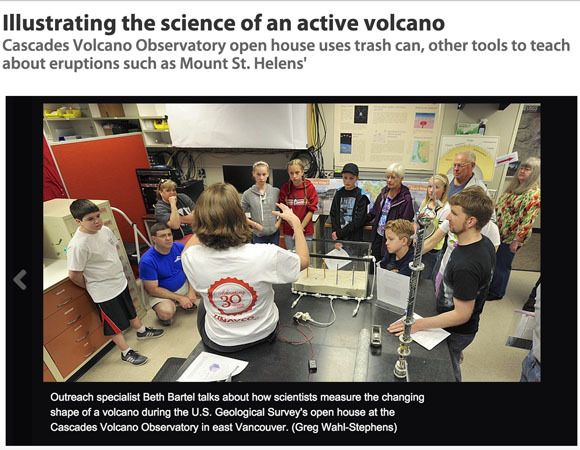 Collaborated with Smithsonian Global Volcanism Program, IRIS, and USGS staff to provide two afternoons of hands-on learning at the Museum of Natural History focused on the technology and science of volcano monitoring. 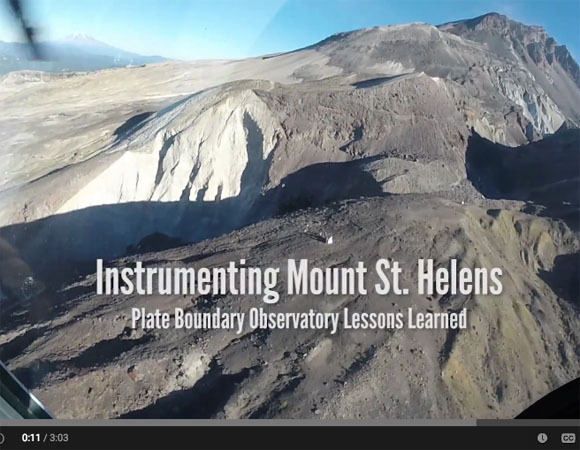 Presented to the public on Plate Boundary Observatory instrumentation at Mount St. Helens and what we're learning from it. 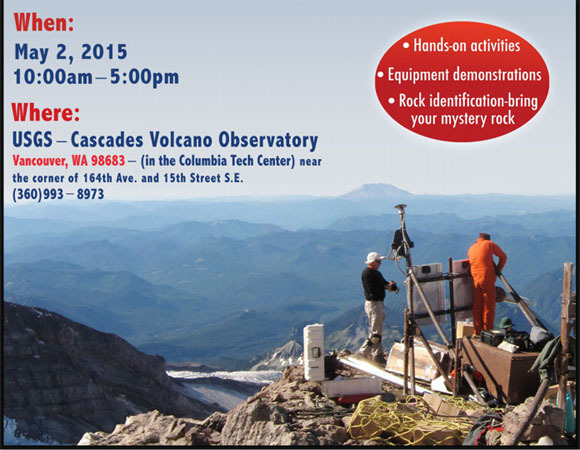 What does it take to keep instrumentation running on a volcano that gets buried in snow? UNAVCO's Director of Geodetic Infrastructure, Glen Mattioli, describes the trials and tribulations of working on Mount St. Helens. Mount St. Helens is one of several volcanic targets within the EarthScope Plate Boundary Observatory (PBO), with 8 tiltmeters, 4 borehole strainmeters, and 17 of its 24 continuous GPS stations installed and maintainted by UNAVCO as part of PBO. 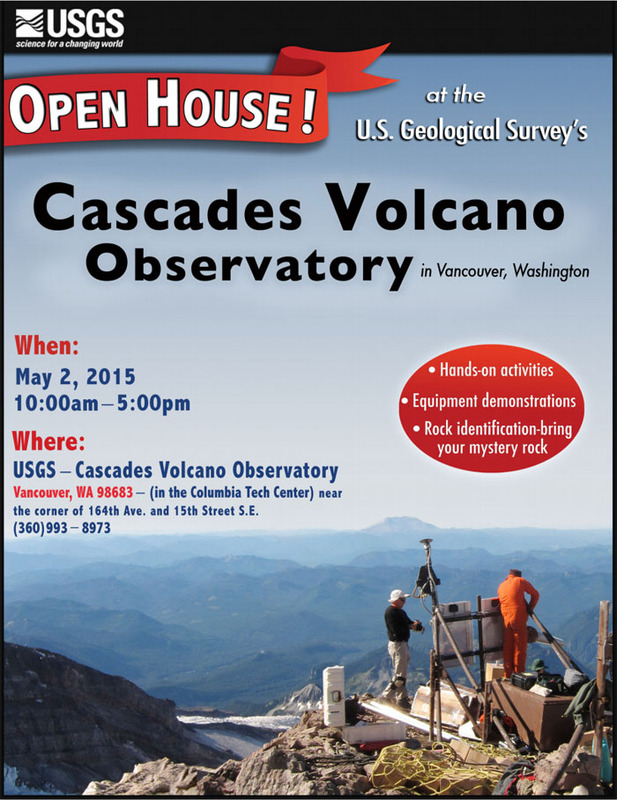 Public outreach both shares the science of volcano geodesy and conveys the importance of PBO to public interests. Partnering with other institutions in this outreach leverages resources and publicizes the collaborations that have made installation of the network possible.